On December 17th, Hamilton, Ontario celebrated the grand opening of the highly anticipated Bernie Morelli Recreation Centre. Designed by MacLennan Jaunkalns Miller Architects (MJMA), the recreation centre boasts a new gymnasium and two fitness centres with a heavy focus on seniors. 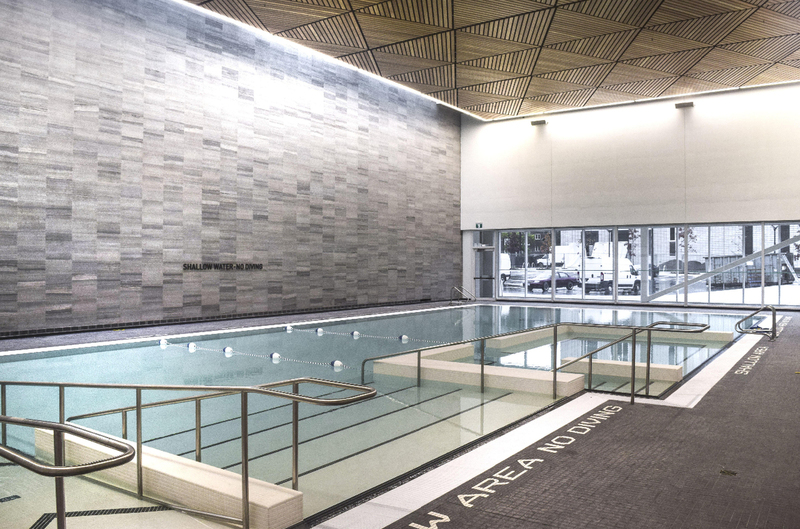 The facility is also is home to an indoor pool with a hydrotherapy area and an outdoor ice rink that will serve as a splash pad in the summer. Acapulco completed the construction of the indoor aquatic centre. To see a virtual tour of the recreation centre, click here.